We carry the entire Brunswick range of Contender pool tables, which are available exclusively through Home Leisure Direct in the UK. 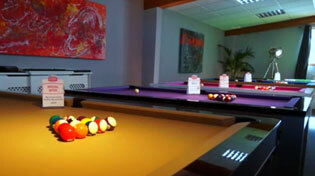 Brunswick are well known for their top quality games room products that you can be proud to have in your home. Their range of pool tables are highly sought after as they are renowned for their quality and durability, and are now exclusive to Home Leisure Direct in the UK. The Contender series are strong and durable pool tables, made for recreational play for all ages and abilities. Some Brunswick Contender pool tables, such as the Black Wolf, are among our most popular pool tables, as they give superb game play and look great in any games or leisure room. These quality pool tables are made with a high grade sectional slate for consistent game play and give great value for the price conscious. The Contender tables can be made from MDF, plywood or solid wood construction, with leather or man-made leather pockets, depending on what table you select. They have pearlized rail sights, Centennial rubber cushions and a nut an bolt assembly. The Contender and the Authentic ranges are build materials and techniques. If you are more of a serious pool player or you are looking for a true masterpiece, then we suggest the Brunswick Authentic range. These tables are constructed from solid wood, with SuperSpeed cushion rubber, mother-of-pearl rail sights, genuine leather pockets and made using traditional build methods. All Brunswick pool tables come with a unique lifetime warranty and come in a variety of designs, both contemporary and traditional. Every table Brunswick build is backed by a lifetime warranty, a testament to the exceptional design and workmanship the Brunswick name represents. This also helps us provide the best resale value in the industry. So whether you own your table for a season or a lifetime, you'll never regret buying a Brunswick. For full details, visit our Brunswick Lifetime Warranty page.